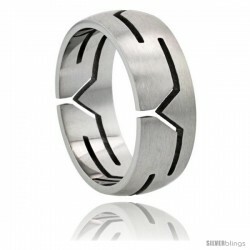 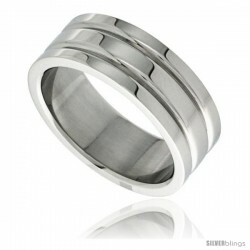 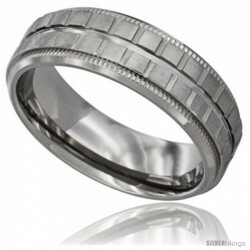 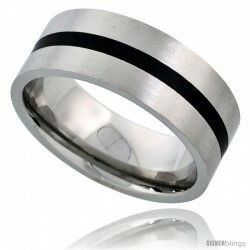 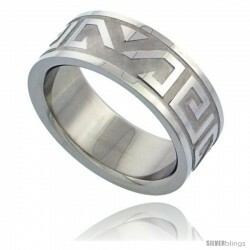 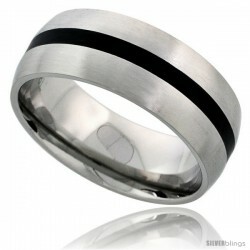 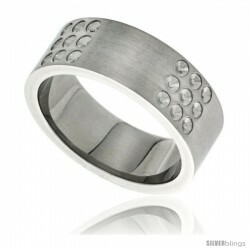 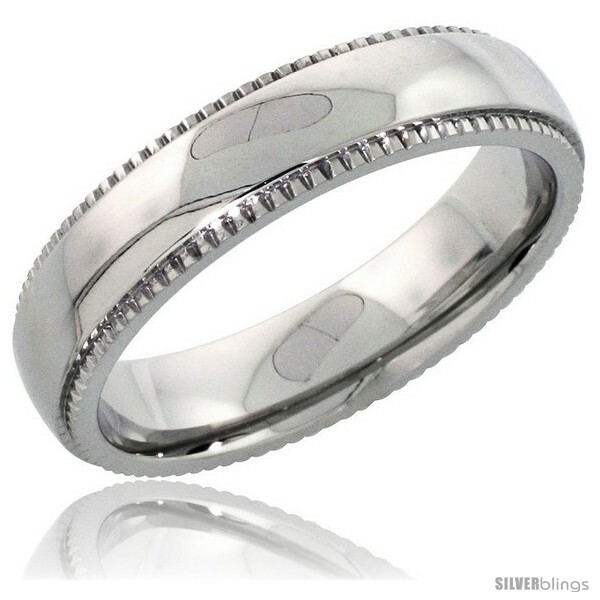 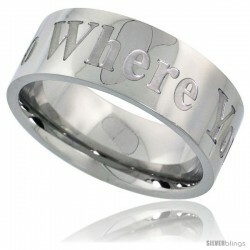 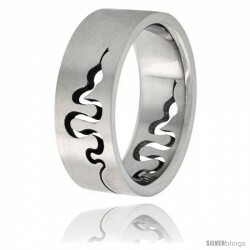 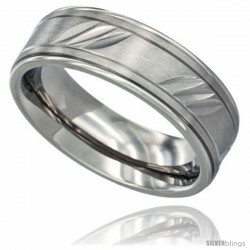 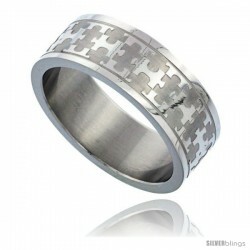 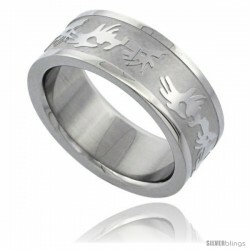 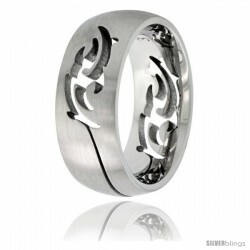 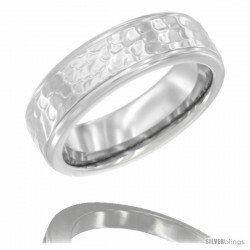 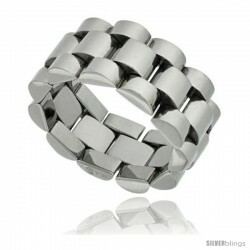 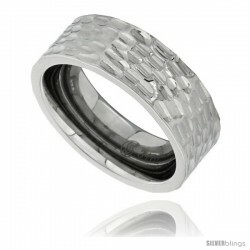 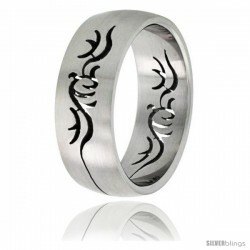 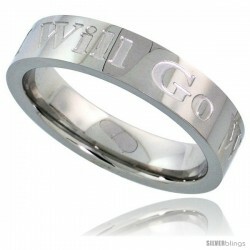 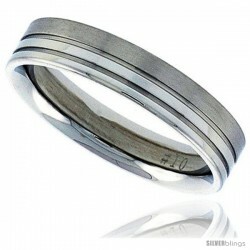 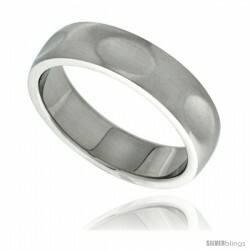 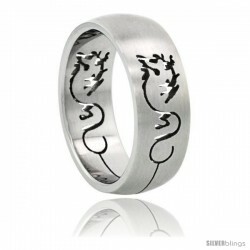 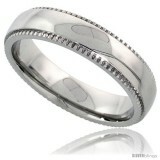 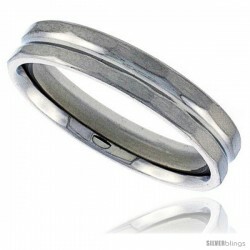 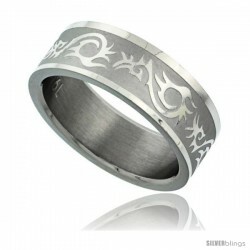 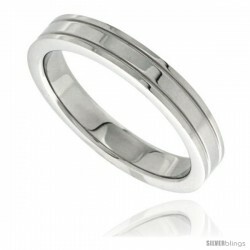 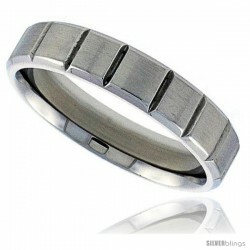 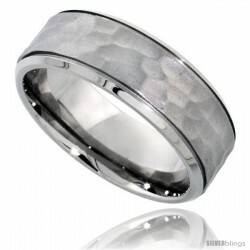 This strikingly appealing Wedding Band made with Stainless Steel is dazzling and charming. This Quality Stainless Steel Band is made of Low Nickel 316L Hypoallergenic Surgical Steel, and is no different than the ones you can pay $60.00 to $200.00 for. 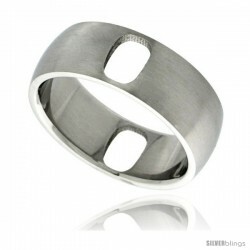 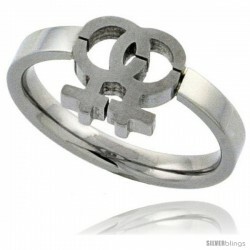 It's 5/16" (8mm) wide, and is rounded inside for a very Comfortable Fit. 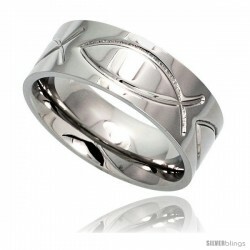 Sizes are available from 5 to 9.